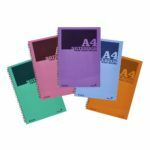 A4 Note Book With Bright Colour Soft Cover. 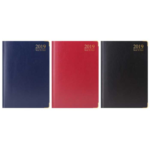 A4 sized 40 sheet (80 sides) 70gsm notebook. Black feint ruled with red margin. 300 micron Polypro cover in 5 assorted bright colours. 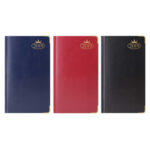 A4 Wiro Bound Note Book With Bright Colour Covers. 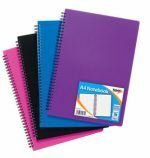 4 assorted colours (Pink, Blue, Purple & Black) Polypro cover (600 micron). 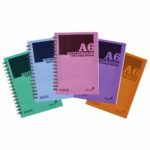 A5 Note Book With Bright Colour Soft Cover. 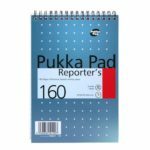 A5 sized 40 sheet (80 sides) 70gsm notebook. 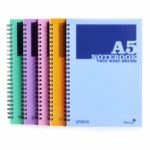 A5 Wiro Bound 4 Subject Note Book With Bright Colour Covers. 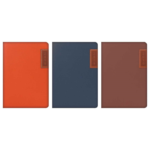 A5 Wiro Bound Note Book With Bright Colour Covers. High quality transparent self adhesive cover film which is acid free. Repositionable with high (16gsm2) glue coverage. Will not yellow or dry out with age.